I honestly cannot believe that March is just about over. This month has flown by - I'm hoping that April slows down a little bit, because I could definitely use a bit of a break. While this weekend won't actually be much of a break, I am really excited for it! I cannot wait for the Silent Disco tonight, and I'm excited for my session at the Inclusive Innovation Summit tomorrow, too. The Summit is actually completely sold out, which is amazing. Hopefully Sunday I'm able to lay low a little! I thought I'd share this funny picture! 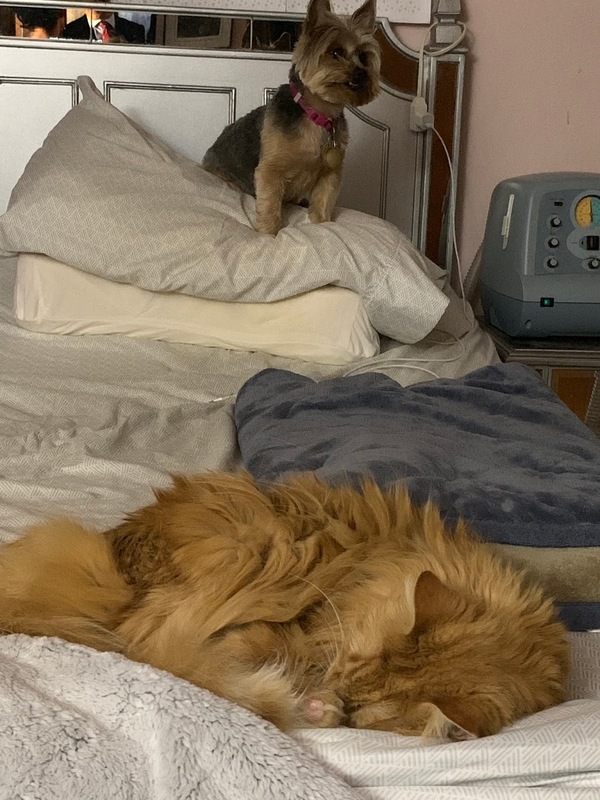 Simba and Lily both love to lay in my bed... but Lily is wary of laying too close to the cat! So this was her solution. A Walk to Remember is one of my all-time favorite movies. Mandy Moore got a star on the Walk of Fame this week, and Shane West came out to support her and gave her speech. I love everything about this, and may find the time to squeeze in a re-watch of A Walk to Remember this weekend! Honestly, I love anything related to Schitt's Creek, and these two are hilarious. I couldn't stop laughing - Eugene Levy has such a great, dry sense of humor. It's not enough that we stalk people on Twitter, Facebook, and Instagram - we also have Venmo, too! It feels a little bit like peeking through someone's bank account, but it's all public AND you get to see who they were hanging out with. This is exactly why my Venmo is set to private! I guess this week's post is all about my favorite movies, because this is another! It's fun to watch the cast members reunite and joke around, and so crazy to think that the movie came out 20 years ago - I feel old!